We love the capability that the Ram Rebel brings to the road. However, we have wished in the past that you could get the elite off-roading capability of the Rebel matched with the premium interior luxury of the upper trims of the Ram 1500 (like the Laramie, Laramie Longhorn and Limited). Fortunately, now for 2019, truck shoppers can enjoy exactly this elite combination with the 2019 Ram 1500 Rebel 12 features and technology. You May Like: What’s the difference between the Ram Rebel and the Power Wagon? 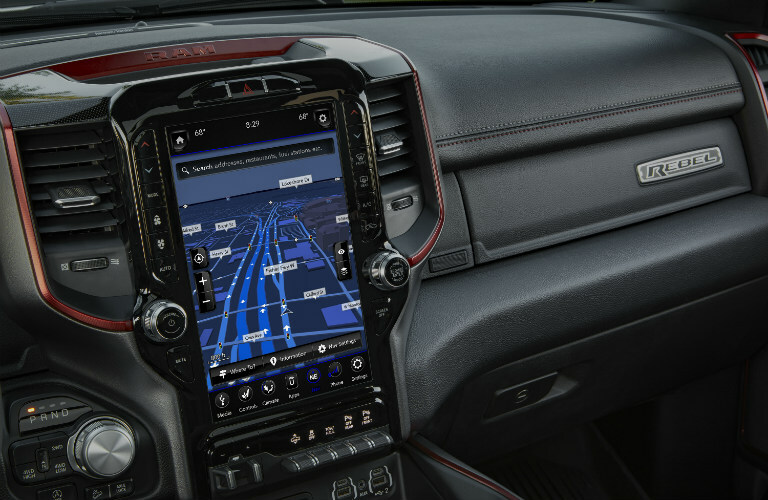 The elite 12-inch touchscreen Uconnect infotainment system that debuted on elite trims of the 2019 Ram 1500 will now be available on the Rebel 12 as well. This system also offers SiriusXM with 360L, which offers a plethora of on-demand entertainment. Leather-trimmed interior, heated front seats, and extensive red accents (including Radar Red anodized finish on the speaker grilles) give drivers a unique interior attitude along with their of-roading capability. Comfort and luxury deliver a great combo! For the first time, 2019 Ram 1500 Rebel drivers will be able to enjoy active noise cancellation a 19-speaker Harman Kardon premium sound system with a 900-watt surround-sound amplifier and 10-inch subwoofer that offer a thunderous, high-quality sound. 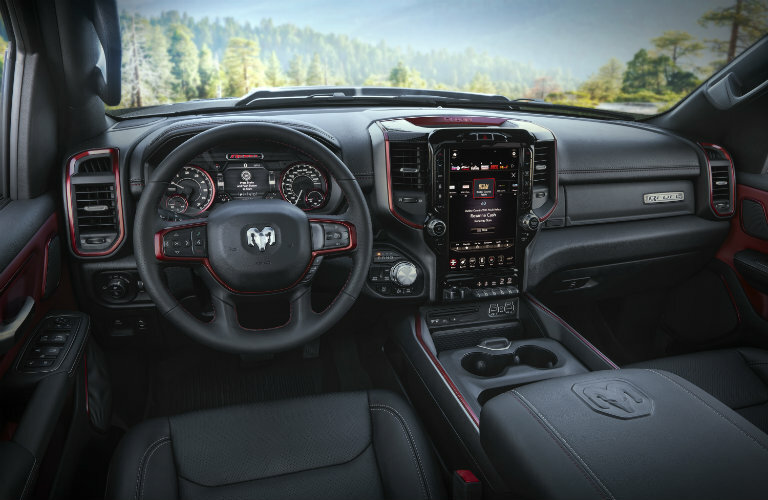 In addition to these premium interior features the 2019 Ram 1500 Rebel 12 will continue offering practical and gutsy off-roading features like a factory lift, 33-inch tires, a locking rear differential, Bilstein shocks, skid plates, and tow hooks. This special edition model should combine capability and comfort to be a fantastic truck right up the alley of discerning Ram drivers. The starting price for the 2019 Ram 1500 Rebel 12 will be $46,990 plus a $1,695 destination fee. 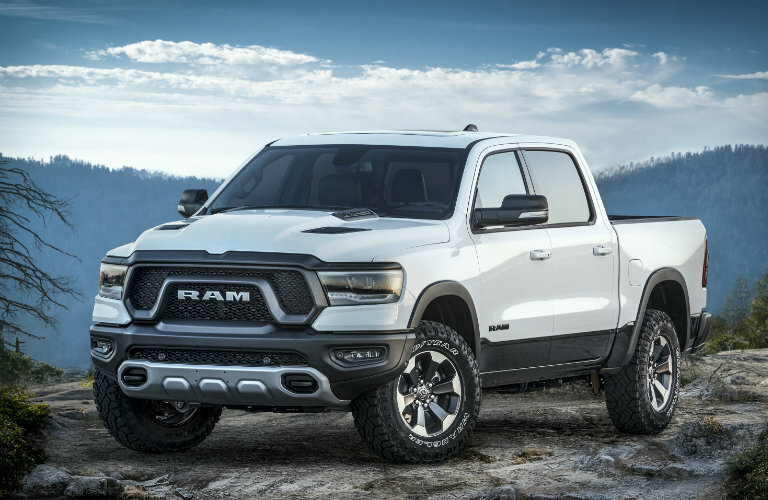 To learn more about this model when it arrives here at the Fury Ram Truck Center in Lake Elmo MN contact a member of our dealership team today. This entry was posted on Monday, October 1st, 2018 at 7:43 pm	and is filed under Ram, Ram 1500, Ram Rebel. You can follow any responses to this entry through the RSS 2.0 feed. You can skip to the end and leave a response. Pinging is currently not allowed.